A traumatized lawyer who can't fight in court and an elite lawyer who got expelled from the bar association for using a forcible tactic team up to solve problems mainly affecting women, such as maternity harassment and marriage fraud. This exhilarating human drama depicts the two women struggling through life and work in midlife. Having lost her confidence after making a huge mistake at her first trial, Urara Iwasaki (Kyoko Fukada) currently makes a living working part-time. 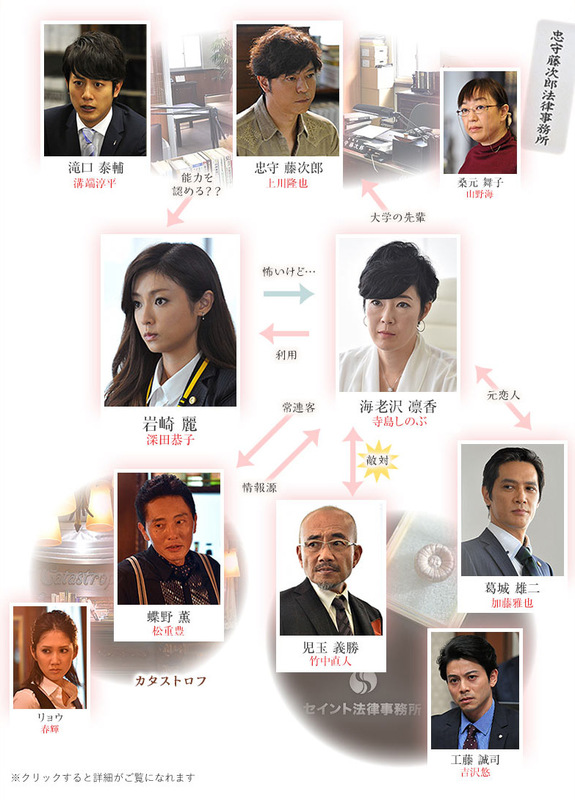 On the other hand, Rinka Ebisawa (Shinobu Terajima) who was once an executive candidate in one of the biggest law firms is accused of using a dubious way to win and loses the right to argue in court. Then she plans a comeback by pairing up with Urara while working at her senior Tojiro Tadamori's law firm. One day, the firm takes up a maternity harassment case and Urara finds a blind spot that nobody else has noticed.